by D. Phillip Sponenberg, DVM, PhD. in the vast array of color in horses. A first step is to separate out white spots or hairs. to add the white, thereby understand the final combinations. 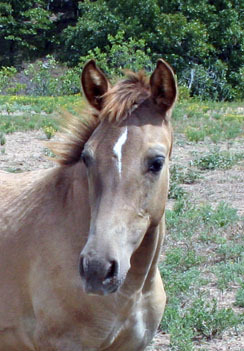 The three main colors of horses are bay, chestnut, and black. so understanding these three is the foundation for all of the others. nonchestnut (black or bay) (EE ). dominant to black (Aa ). both chestnut and black are recessive to bay. many different nuances of color. black to seal brown, and changing chestnut to sorrel for breeders of draft horses. it changes both red pigment and black pigment to cream, with pink skin and blue eyes. The linebacked dun gene (Dn+ ) is dominant. and frequently a stripe on the withers. manes, tails, and lower legs to flaxen, or can leave them relatively unchanged. The final color interaction is brindle.